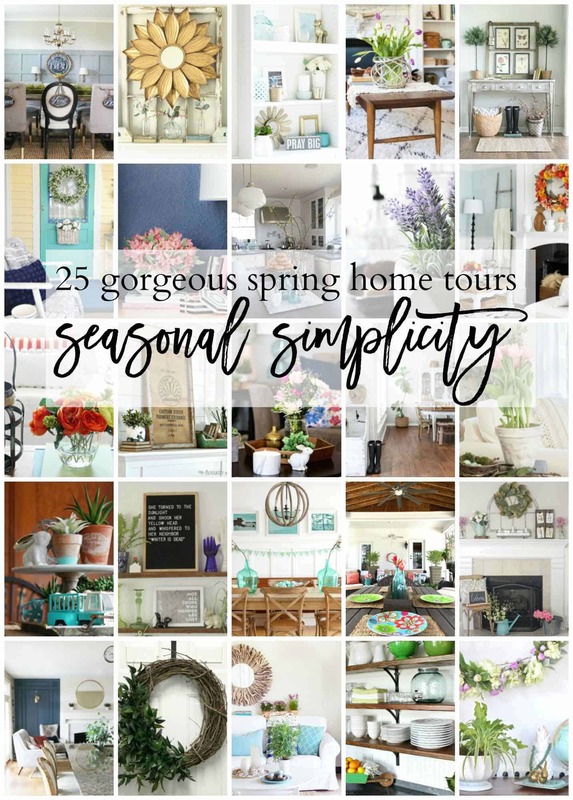 I am SO thrilled my friends Krista and April invited me to be part of this Seasonal Simplicity tour because it means our house is 1. clean and 2. READY FOR SPRING! If you’re hopping over from Cherished Bliss, welcome!! I’m Charlotte. This is my house. I love color and thrifting and have lots of kids so most of the time my decor is crushed Cheerios and rogue socks! You’re welcome. 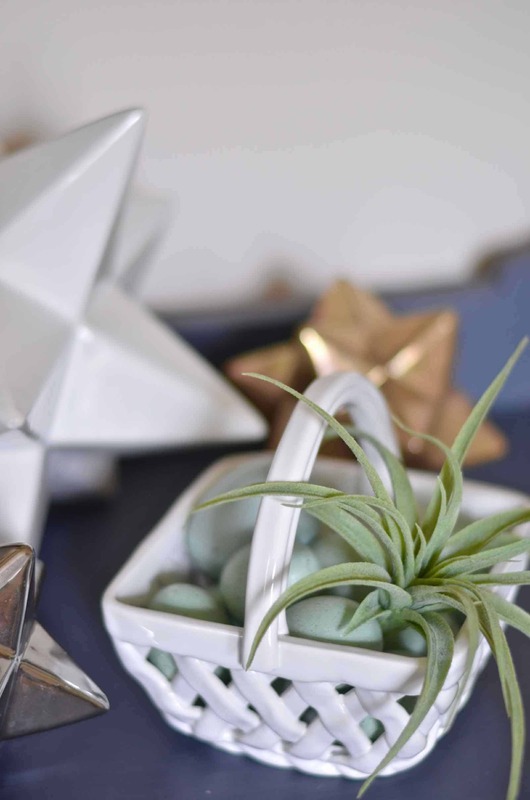 To me, spring means flowers and greens and blues so that’s what I tried to bring in for this spring home tour. Thanks to a 50% off sale at Michaels, I was able to use mostly fake flowers which I KNOW seems cray, but… they truly look real and they can last for weeks! 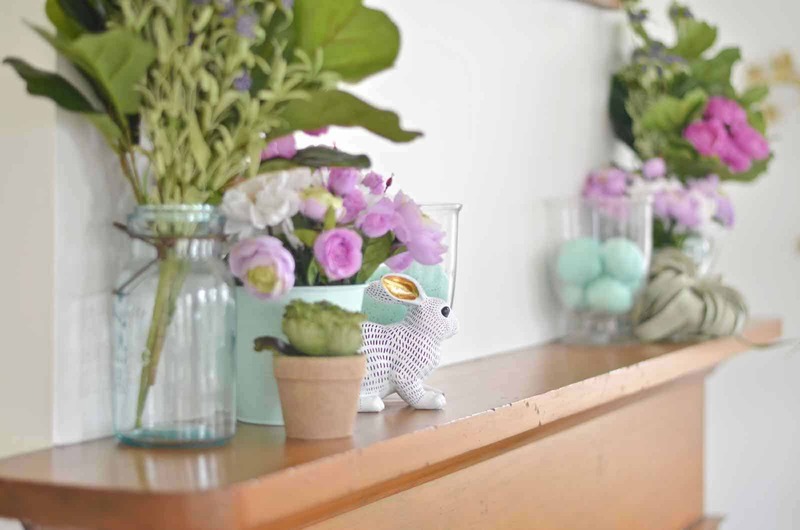 Walking into the foyer, I brought in a few flowers and a little nod to Easter on our front hall table. 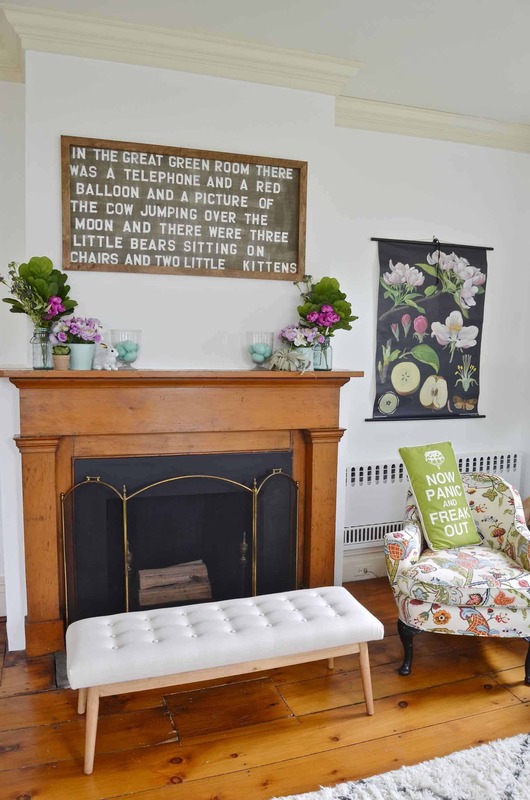 The chairs are already perfect for spring, but I swapped out the fur blanket for this fun pillow I grabbed from my friend Brooke at Nesting With Grace and then I gathered some greenery on that little campaign side table I snagged at the Restore. I shared a sneak peek of our living room on my Instagram Stories, and I’ll be posting tutorials on both my YouTube channel and on the blog, but… I’m moderately obsessed with my DIY moss balls (official name is Kokedama) AND those killed turquoise buffalo check throw pillows. 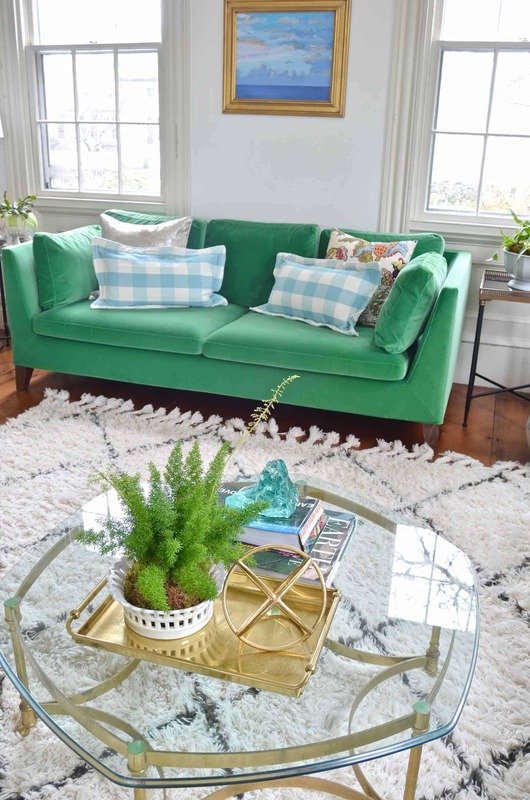 Spoiler alert: the throw pillows cost less than $15 and the moss balls cost about the same. 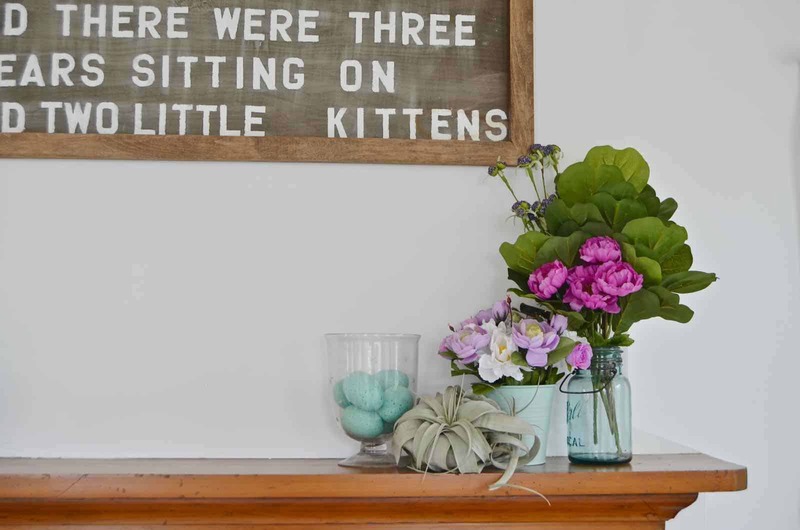 On to the mantel… more flowers and more blues. 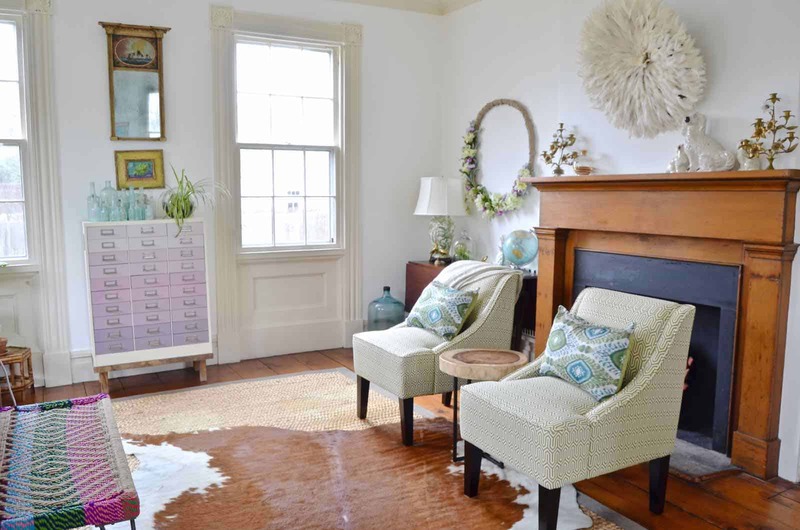 I’m always tempted to paint our mantels white but sometimes the warmth of the wood works really well… case in point, this spring layout. Below is my collection of glass fishing balls and my flea market glass beads. And a globe. There’s always room for a globe. 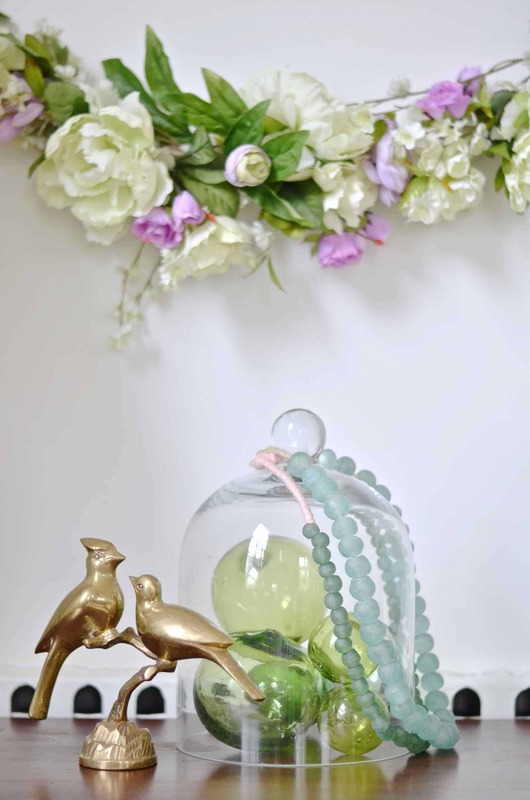 Here’s what’s SUCH a happy accident about this wreath… the purples in the flowers match the ombre in the file cabinet and the greens in the flowers, match my slag glass and my fishing balls. Boom. Coordination, folks. 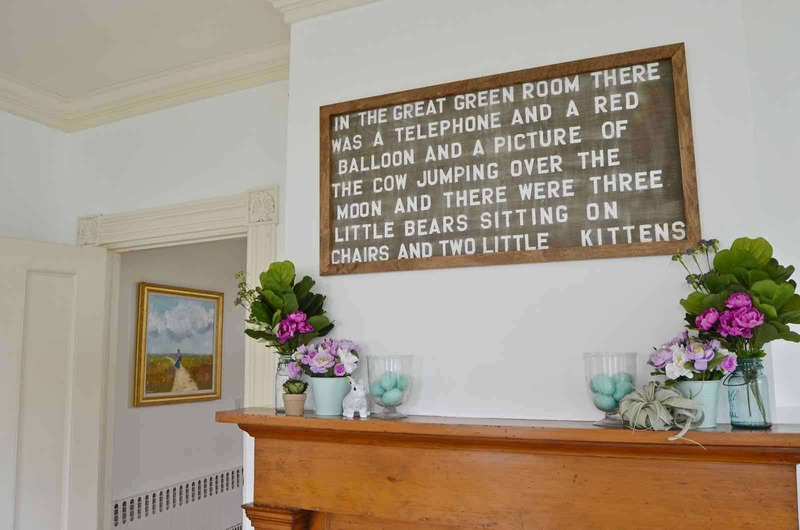 I can’t share the WHOLE playroom with you, but I DID load up my antique bread bowl with those moss balls and a few clover plants…. Consider this your sneak peek! 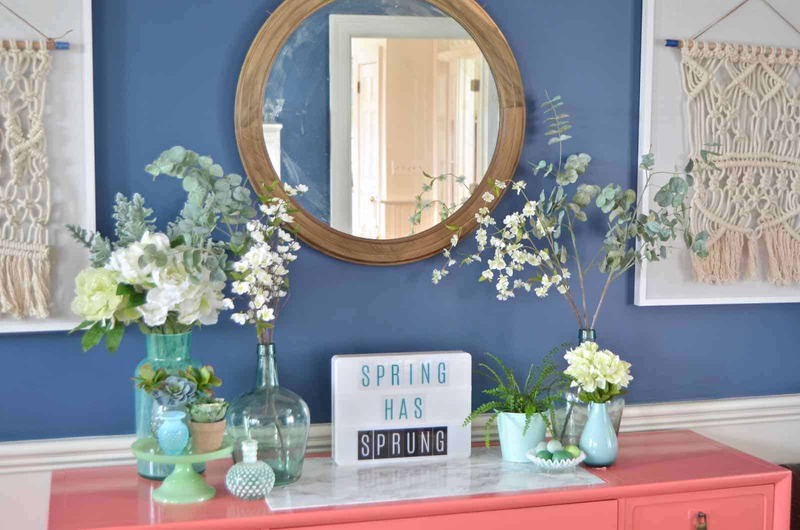 Moving into the dining room, I’ll share a full Easter table scape with you in a few weeks, but I started to put the table together and loaded up the sideboard with a mixture of blue vases and simple white flowers. Would you believe me if I told you those large blue jugs were found at the dump? I NEVER go to the dump… clearly they were meant to be mine. As for OUR room… Nothing in here is new, but I haven’t shared it with you since Christmas. I found those pillowcases (affiliate) on Amazon for a steal and love how they match our nightstands. 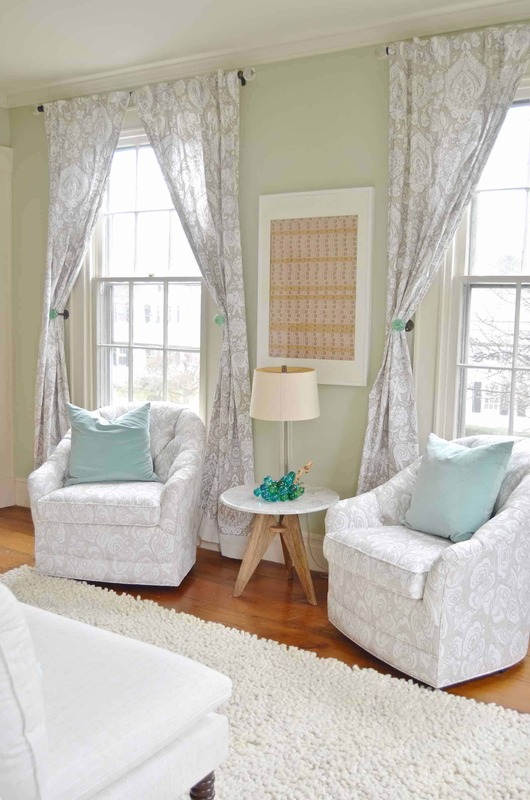 So our master is perfect for spring… flowers and that soft aqua blue. I’ll be sharing tutorials for the pillows, the moss balls and the wreath so check back over the next week! Waiting on TWO more things for the updated playroom (see the vision for the space here). And… gulp… about to start work on a complete overhaul of our master bathroom! Bye bye, floral wallpaper! 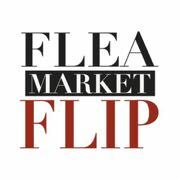 Head over to House 214 Design to see what awesome sauce Melinda has cooked up for you. 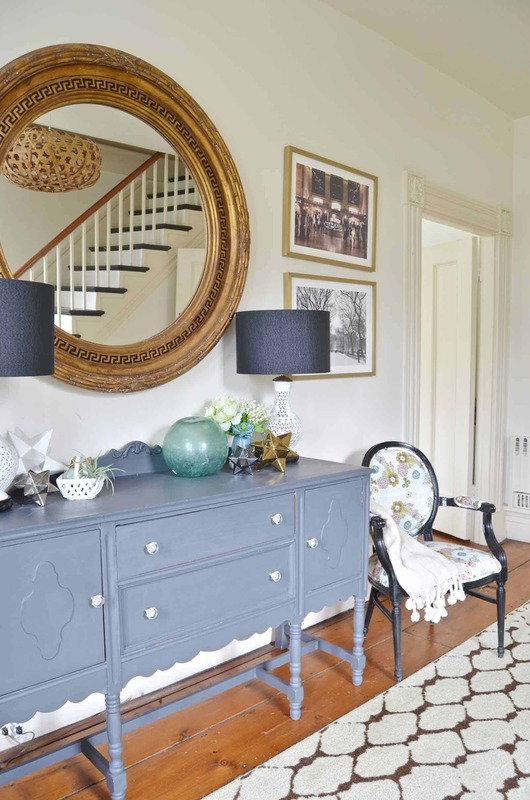 Her house is pristine and SO chic so get ready to take some notes! 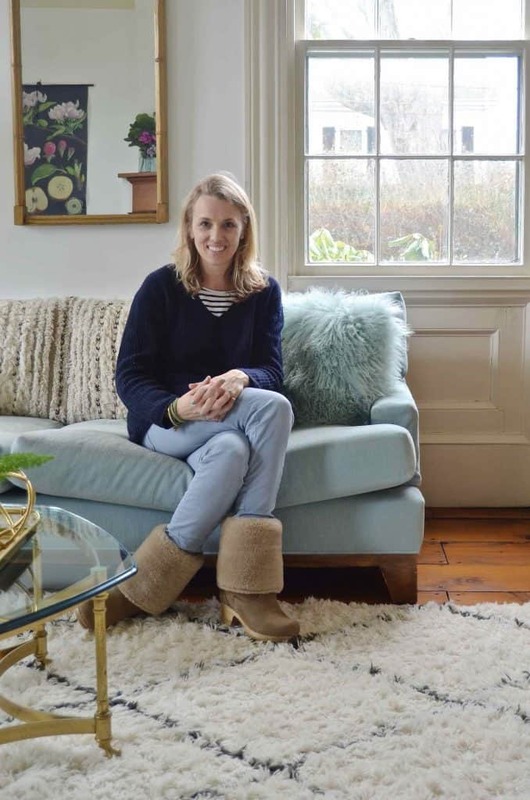 And then grab the rest of your spring inspiration from the other talented ladies sharing their homes today as well as the rest of the week! 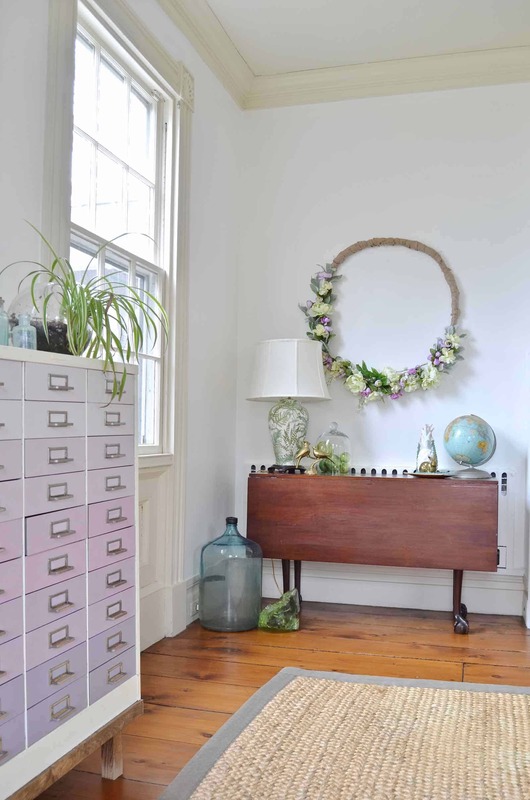 Your house was made for sPring! Such a pretty Tour! I really love your use of color! I’m so weary of all white interiors. They suggest the owners have no imagination. Charlotte I want to live in your house! Always so fun and colorful and at ease. Well at least come and visit!! Charlotte, I love your colorful, eclectic style. 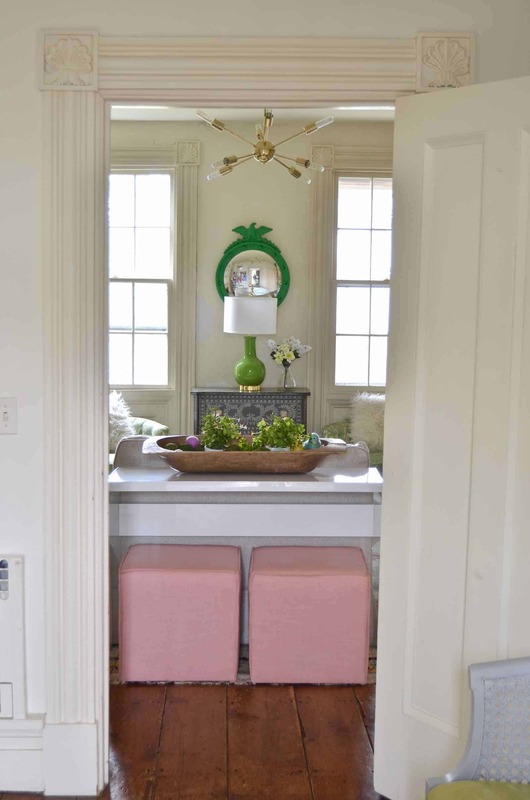 No, do not paint the mantle-it radiates character. I wish I had a car at work today so I could make a run for some of those florals at Michael’s (sorry for all caps-it seems to be a computer glitch thing). 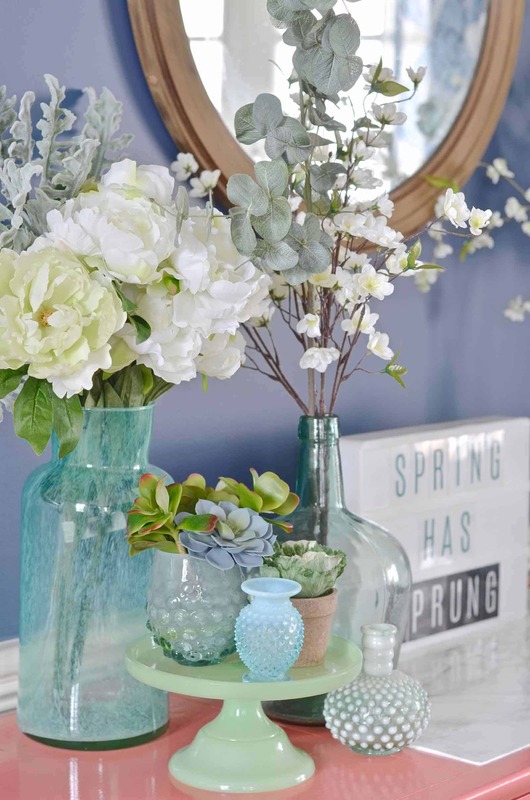 i ABSOLUTELY LOVE YOUR SPRING DECOR, BUT THOSE VINTAGE GLASS BOTTLES WITH SPRING SPRIGS ARE MY FAVORITE!!! 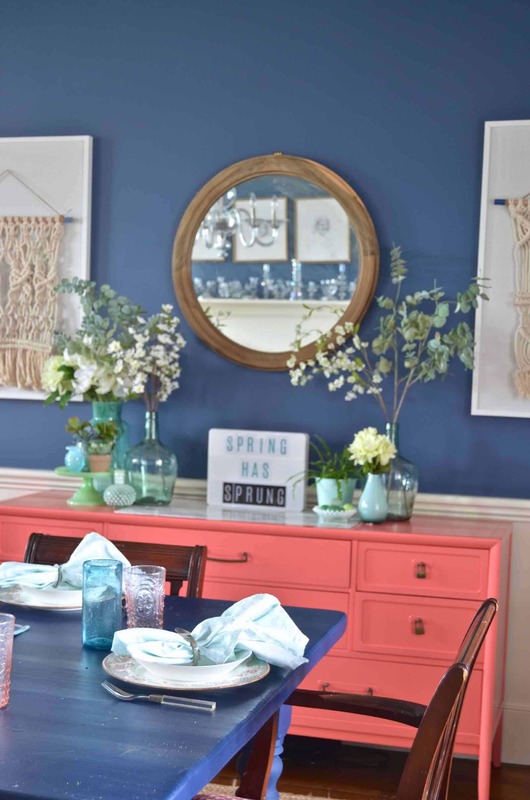 i LOVE THE COLOR OF YOUR DINING ROOM WALL TOO! sO, SO PRETTY!! And, did you enjoy my obvious caps lock issue going on in that comment?! Ha! Thanks, April! Krista has the same ones and inspired me to drag them out for this tour! LOVE how they look! THanks for organizing!! faux flower lovers unite! 🙂 I love that the faux versions are so good these days because I have a black thumb, lol. 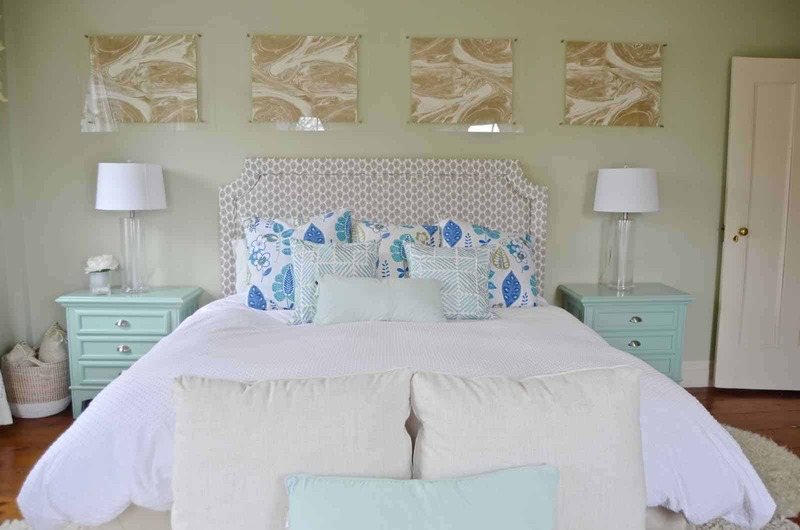 Love all of your greens and blues and color, charlotte– so cheerful and perfect for spring! Hope you’re having a wonderful week! I was always so snotty about them, but this year they looked SO real and… CHEAPER than the real ones! I’ll have spring set up for weeks!!! 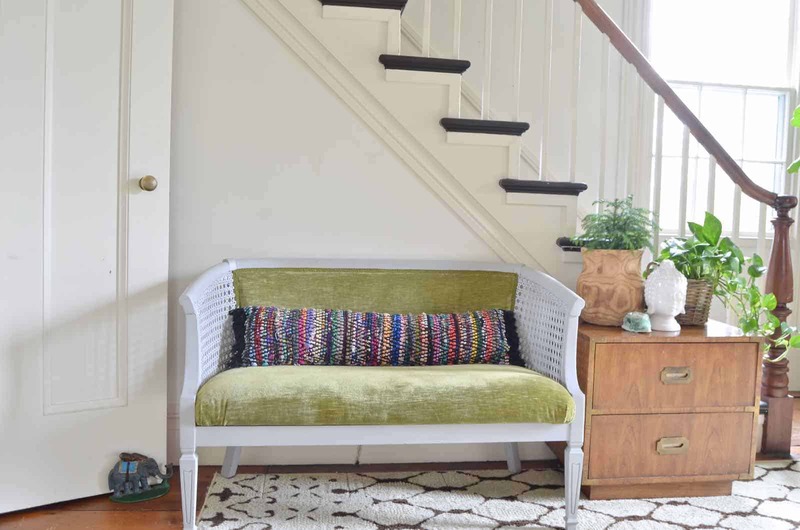 Love that green couch and those lamps in your foyer! 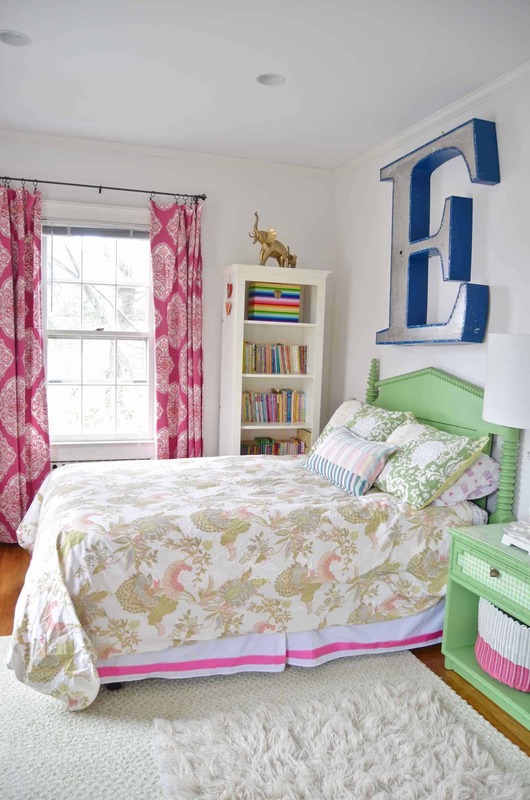 Love all the color and textures, Charlotte! Thanks, Jen! Can’t wait to go see everyone’s now!! WOW! HOW BEAUTIFUL. i LOVE YOUR WHOLE HOUSE. 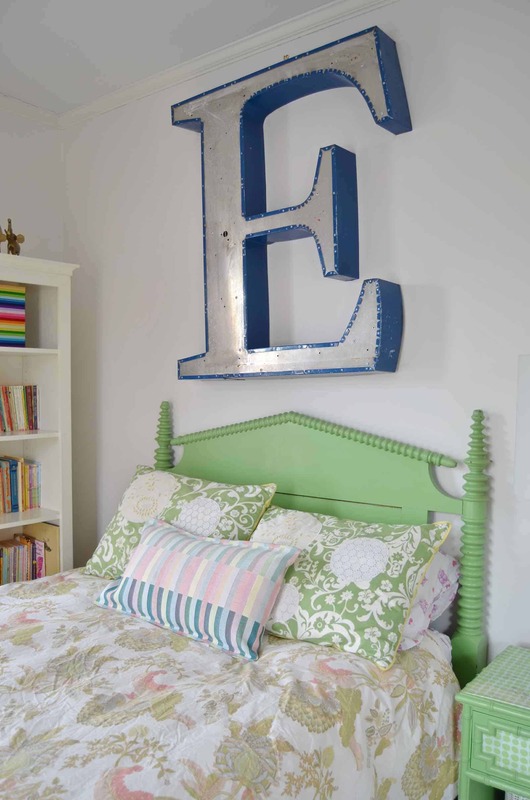 SO CREATIVE AND HAPPY WITH THE BRIGHT COLORS, BUT ALSO CLASSIC AT THE SAME TIME. ABSOLUTELY GORGEOUS!! 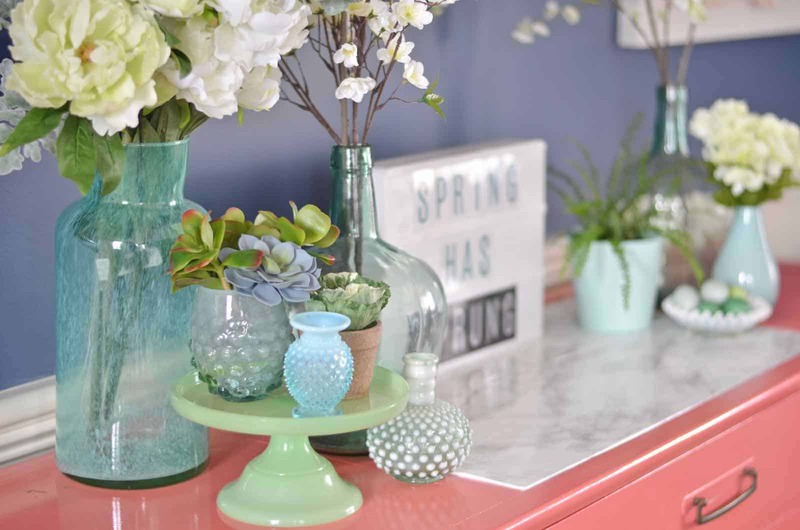 spring is totally your jam- these colors are meant for you and your home! 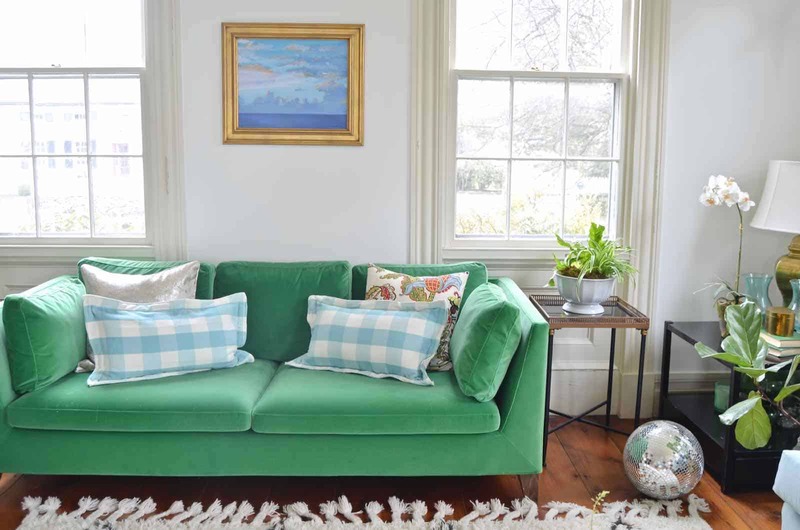 I love all the character of your home, and I am obsessed with that green couch. It is gorgeous! I also love all your use of color – so fun! Thanks, Sara!!! That couch is IKEA- my husband got it for my 40th birthday! One of my faves! Feeling so inspired!! I love it! I’m totally obsessed with old houses and yours is dreamy!! 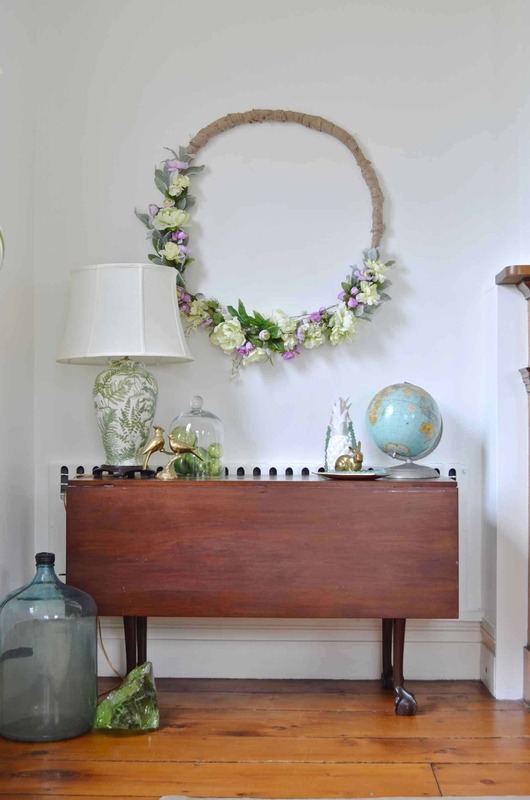 Love all your vintage accents too. Thanks, Kristy! Still working out a few kinks but SO happy to have it all behind me!!! Charlotte! 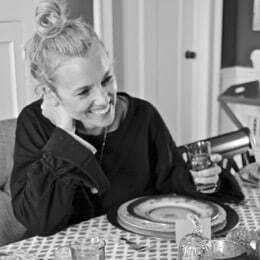 I just found your blog and I love love love your style. 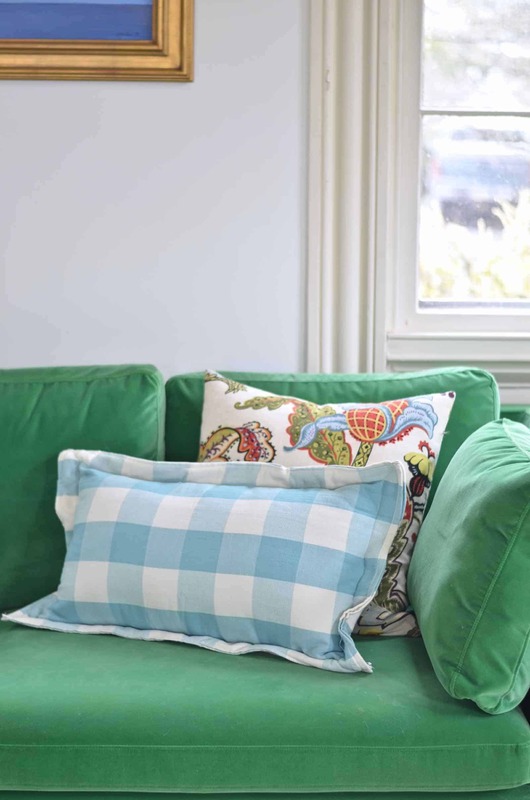 I have to know about those turquoise check pillows though!